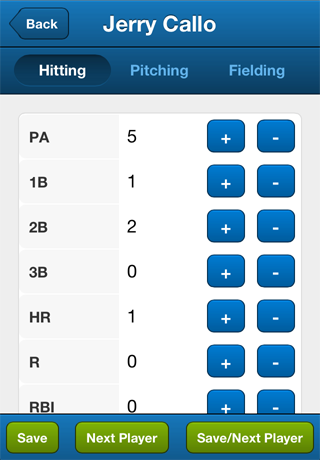 Stat updates can be made on the app for individual or team stats. 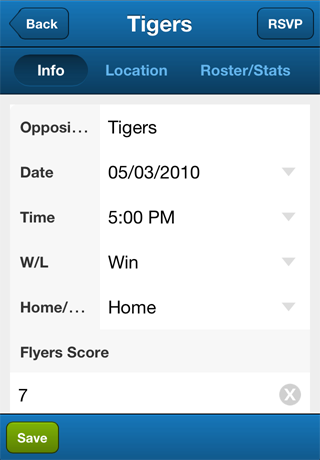 Easy navigation let's you follow the game roster order and enter stats quickly. 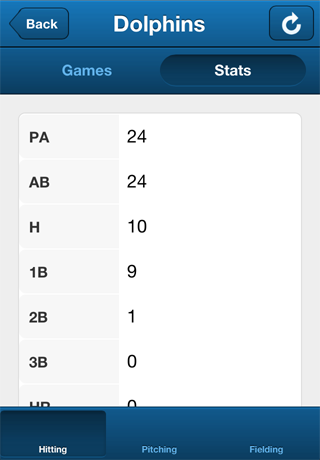 Add/edit seasons, games and stats in your personal stats profile or the profiles of your children. As you add stats, you can see your season totals update right in the app. 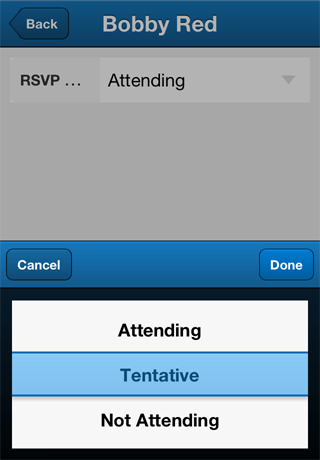 Gain mobile access to your individual and team schedules on the go. Check game information in only a few seconds. As the game progresses, you can enter your game results in for each game. RSVP to any of your team games for yourself or your children if you have been assigned as a parent on the team\'s roster. 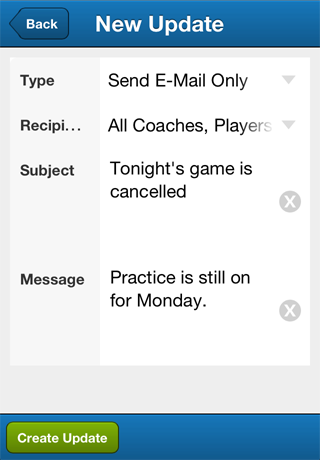 Coaches and admins can send e-mail updates to the entire team right from their mobile device. If the game is cancelled at the last minute, you can quickly send a cancellation e-mail no matter where you are. Make sure you add a game location and address to each game as you add them on the web. 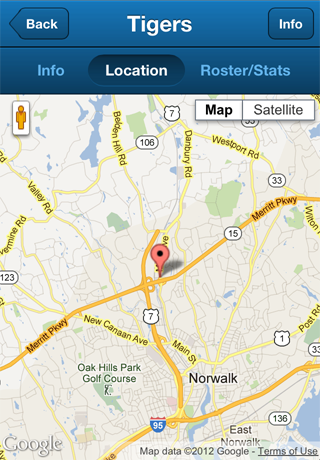 Every member of your team will gain access to see the game location on a map. 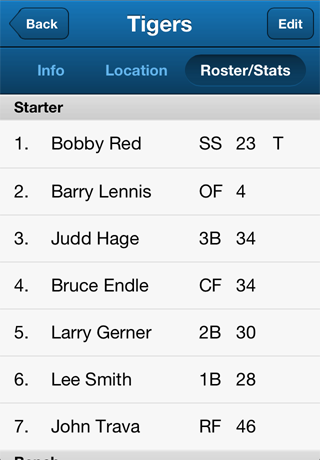 The game roster view in the mobile app will show your your lineup for the night along with their number and position. Admins and coaches can edit the team roster as the game progresses. As substitutions are made in the game, you can keep your lineup in order to make stats entry easier.